Michonne (Danai Gurira) gets revenge, Andrea (Laurie Holden) learns a lesson (maybe), the Governor (David Morrissey) loses an eye, and two brothers reunite in The Walking Dead mid-season finale, “Made to Suffer.” The end of the first half of season three brought some expected events and a few surprises as well. 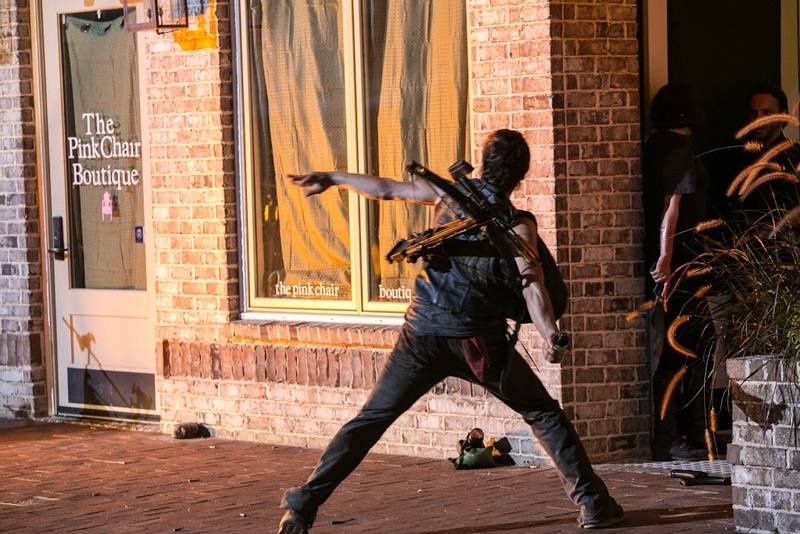 Ever since the introduction of the town of Woodbury, and the revelation that the long lost Merle Dixon (Michael Rooker) lives there, there has been anticipation for what might happen when he and his brother Daryl (Norman Reedus) found each other. I have to say, things didn’t turn out anything like I had imagined, but more on that later. This episode was a culmination of what the events of the season thus far had been leading up to. Rick (Andrew Lincoln) and the Governor in the same place; a good-against-evil showdown. Rick, Daryl, Michonne, and Oscar (Vincent Ward) have headed off to Woodbury to rescue Glenn (Steven Yeun) and Maggie (Lauren Cohan). It’s a good thing because the Governor has sentenced them to death by the “screamer pit.” Back at the prison Hershel (Scott Wilson), Carol (Melissa McBride), Beth (Emily Kinney), Carl (Chandler Riggs), and Axel (Lew Temple) have been left to their own devices. This gives us a pretty humorous scene when Carol chides Axel for flirting with young Beth. He then proceeds to hit on her when she tells him she is not a lesbian just because she has short hair (which is something he had assumed). We are also introduced to a new band of survivors led by a man named Tyrese (Chad Coleman). The group is pretty weary, but they find their way into the prison where they are met by Carl. Have you noticed that Carl no longer makes stupid decisions? He seems to pretty much have it together now. Following his dad’s example, he helps the new group, but locks them in their own room to keep them separated. Back in Woodbury things heat up very quickly. One thing this show is good at is amping up the tension, and this episode excels on that front. A nasty gun battle erupts. Daryl is torn because he wants to find his brother. In one of the most disturbing scenes of the episode, Michonne finds the Governor’s zombie daughter Penny in his apartment. One thing I didn’t quite buy is that Michonne didn’t realize the kid was a walker. I mean, Michonne is pretty smart. She picked up on all kinds of clues about the true nature of Woodbury while Andrea stayed oblivious. She found her way to the prison after overhearing the slightest of direction from Glenn. So why would she think the grunting hooded child locked up in a cage would be real? Nonetheless, the sequence that followed was heart-stopping. If Michonne came back to Woodbury for revenge, she got it. Without hesitation she puts poor Penny out of her misery, which of course throws the Governor into a rage. When Andrea finally walked in, just after Michonne stabbed the Govenor through the eye with a shard of glass, I expected her to finally see the light. I expected her to be glad to see the friend she had spent so many months with. It didn’t really seem to happen. I would have thought seeing that the Govenor had been keeping his basically dead daughter in a cage would have sent her running. Instead she helped him, leaving Michonne to return to Rick. 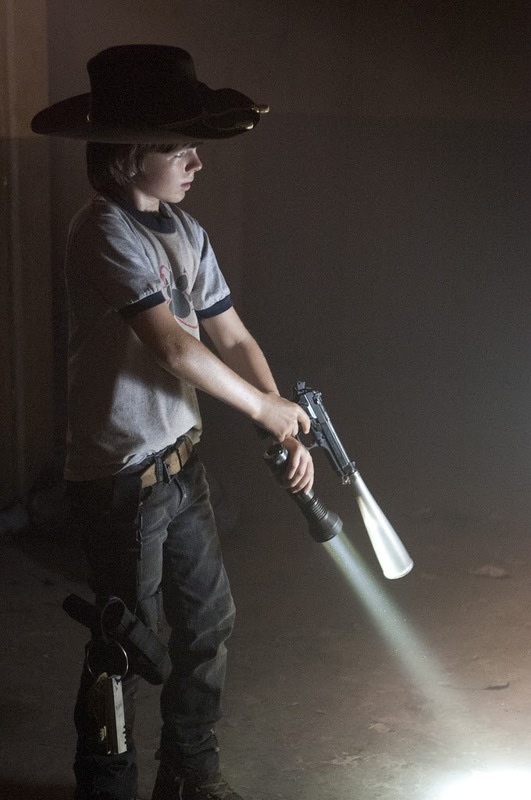 Rick and company were engaged in an intense firefight, in which newcomer Oscar is killed. His death left me wondering what his purpose on the show was really. It was like they introduced a new character so they would be able to kill someone without having to have a major character death. It’s a minor complaint, but it sticks in my mind. And finally we get to the reunion of Daryl and Merle. It’s easy to forget, but Daryl and Merle have never been together during the series. The only time Reedus and Rooker shared the screen was during a hallucination sequence in season two. But Merle disappeared in season one before the character of Daryl was introduced. Daryl had been off hunting while Merle went into town with Rick. This made their reunion all the more anticipated. I had been expecting that Daryl and Merle would be at odds with each other, each being loyal to their respective groups. I had expected a fight of some kind. What I did not expect at all was to feel sorry for Merle. I mean, he is not a nice dude. However, he isn’t as bad as the Governor. And now that the Governor knows Merle lied about killing Michonne, he’s no longer in the esteem of the Governor. In a slam-bang ending Daryl and Merle are thrown together in a kind of kangaroo court where the Governor is judge, jury, and executioner. It’s a terrifying sequence that almost makes you forget the walkers are even scary. The walkers are slow, easy to kill, and not malicious. You just need to stay well away from them. The same can’t be said for the Governor. He is the definition of corrupt. We won’t know the fate of Daryl and Merle until February 10, 2013 when season three resumes. While I hadn’t had any hope of this before watching this episode, I do kind of hope Merle ends up back with the group. I also hope Andrea comes to her senses. She seemed pretty weirded out seeing that the Governor was about to have Daryl killed. Can’t wait to see what’s in store for The Walking Dead in the coming year. Peace out!